Connectors: Facebook API ADS feed? 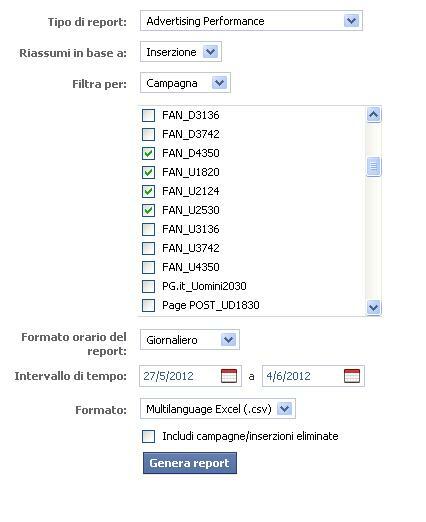 Hi all - We would like to use Visokio to analyze our Facebook ADV campaigns (API ADS). "The panel will allow us to select a campaign, a date range..."
Please also provide details on the data you want to get back from Facebook. Do you need to be able to customise the fields? Are there more than one Ads reports that you need to be able to generate? We are not looking for a specific type of variable or report. We would like to have all the available metrics for the advertising performance of the ours Facebook campaigns, as it already happens with the “Insights for Pages” data. In particular, we need to have a daily custom report to which we can add formulas and graphics. In attach you can find the usual configuration of the panel. Are the configuration options required the same as the screenshot you provided? Was this screenshot taken from Facebook? We would like to integrate the ADS API into the Omniscope connector as part of the 2.8 release, however unfortunately the ADS API is restricted. I've sent everyone who voted on this a private email detailing the problem we are encountering, so please let us know if you are able to help. Please note that we are in the process of applying to Facebook to use the ADS API. This process can take several months, but I'll keep everyone posted when we get any news on this. Has there been any progress on this? Were you ever allowed access to the ADS API? We are very keen to develop a Facebook ADs connector, however we have had difficulty obtaining access. We also need a test account to enable us to develop the connector. Is this something you would be able to help us with?